If there’s anything I can’t stand, it’s a smart owl! 😂 How many licks did it take for YOU to get to the center of a Tootsie Roll Pop? I think I lost a few baby teeth trying to bite into those things by the count of three! 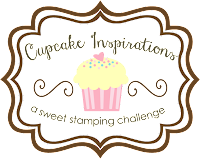 I absolutely LOVE the stamptangle line from… Continue reading Owl Be There!